Literature, no matter the genre or market, more often than not lifts us…and causes us to think. I never felt this more viscerally than when I read ALL THE BRIGHT PLACES by Jennifer Niven. In my review I think I even mentioned that it’s a wonderful book that could serve to open a much needed dialogue on mental illness and how it pertains to teens. But I didn’t myself begin that dialogue. That was a bit of a fail on my part. I’m not one to come at things intellectually, so I won’t do an info dump with lots of percentages and facts. I wander through life heart-first. I can address how All The Bright Places made me feel, and how I related to it. Although the circumstances which brought me there are different, I suppose, than those of Finch’s, I too rode the edge of dying/not dying as a teenager. I too woke up every morning and asked myself, “Is today a good day to die?” This is the first line in the book ALL THE BRIGHT PLACES. And it is literally what I used to think to myself every day. I knew I had to read on. 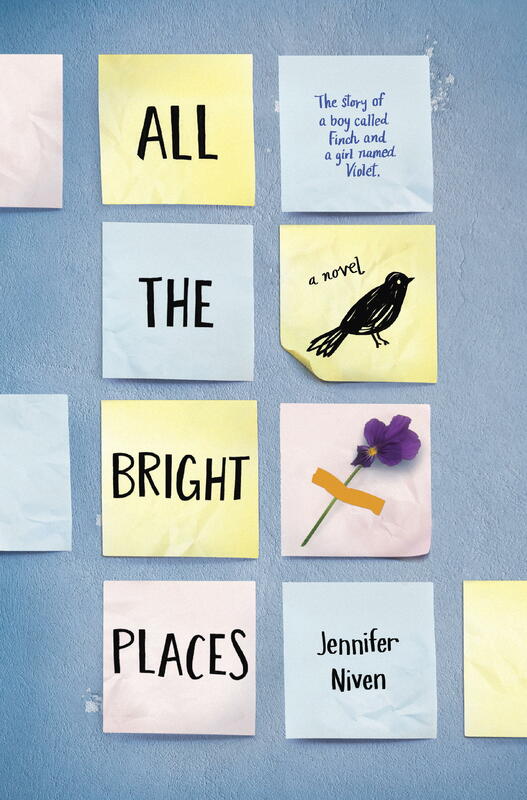 Jennifer Niven captured the ache and turmoil of my youth in that opening line. Verbatim. Finch’s story had me riveted from word one. Niven had somehow captured the life of a teenage boy in turmoil so succinctly that I began to think she might, in some otherworldly way unbeknownst to me, be my biographer. I mean, that’s how creeped out I became while reading this story. I kept thinking, “Oh my god. I’m Finch.” (and it got even worse when friends asked me if I had read the book and THEY said, YOU’RE FINCH!) I knew instinctively that Niven had personally experienced a loss of a teenage boy in turmoil in her past. I was not at all surprised to learn later, after having read the book, that this was indeed the case…that Finch’s character was an homage to a lost boy. She captured it too impeccably not to have first experienced it in real life. In the end, my story turned out differently than Finch’s. I muddled through somehow. Every time I answered that morning question with, “No, not today,” I lived to see another morning. And on the mornings when I woke up and asked myself that question and responded to myself in the affirmative something always happened to either prevent me from taking my life that day or saving me from the attempt to take it. When you’re living in the trenches, you don’t realize that making it through another day is a good thing. You regret not leaving. Every day, you grow more angry with having to ask yourself that stupid question again… “Is today a good day to die?” Because you’re bitter for not having had the courage to have responded in the affirmative the morning before and actually ended your suffering already. The pain is too much. The segregation from the rest of the world is too much. The hell that you are locked in is a never-ending purgatory of fear and self-loathing. I picked up ALL THE BRIGHT PLACES to read again because of the Muskoka Novel Marathon I’ll be doing in two weeks. I want to write a book with that much visceral emotion in it. I want to learn more as a writer by reading it one last time before I go in to the belly of the beast for the writing marathon. But in reading it, I’m realizing it’s not enough to just say, “Oh, this book would be great to open the dialogue for a mental illness struggles in teens discussion.” We should actually discuss it. Every single day, teens are dragging themselves out of bed with that question in their heads and on their tongues. Every day. Everywhere. They might not have had a ghastly childhood trauma such as sexual abuse or physical abuse. They might be dealing with a bully, or bullies, or sexuality issues or gender confusion, or weight issues, or acne, or self-righteous indignation…does it matter? Whatever issue they are dealing with, it is real to them. It is weighing them down and making them feel LESS THAN. If you have a teen in your life, ask them. Be on point and just ask them how they are feeling. In the middle of the storm of depression, it is extremely hard to hear outside noise. The screams in your mind are enough to block out most other things. What occasionally turns those screams off, or at least adjusts the volume to a liveable level, is concern. Let them know you care. And don’t just do it once. Be insistent and persistent. Love doesn’t always win. But sometimes it does. Teens are dying. It really is time to open up a dialogue of prevention. One suicide is one too many. When I think of the amount of times I almost didn’t make it, it’s sobering and staggering. So much of the things that now cause extreme joy in my life would have been missed. IT GETS BETTER is a tangible phrase that brings with it a punch. Because if you allow yourself to struggle through the darkness, it well and truly does get better. It’s when we wake up and ask ourselves, “Is today a good day to die?” and there is nobody there to say, “NO!” that we all fail. Showing signs of unexplained exhaustion…lack of energy. ennui. THOUGHTS OF SUICIDE OR DEATH…ideation around these concepts, possibly even to the point of obsession. I’m writing this for all the Finch teens out there now. And I’m writing this for the Finch I once was. And I’m writing this for all the mothers and fathers and brothers and sisters and boyfriends and girlfriends and grandparents and friends of Finch. Don’t let the world take away your Finch. We are all bright lights and we are all bright places. We need to know this. Talk to your loved ones. Don’t allow them to lose sight of their own bright places. Life is beautiful. The title of this blog post is a GOOGLE SEARCH TERM used by someone who found my site today. So often, the Google search terms that lead people here have me wanting to write a post on the term. Sometimes I do, and sometimes I don’t bother. TODAY, I was required to. Because NOBODY FAILS THE CAMINO. 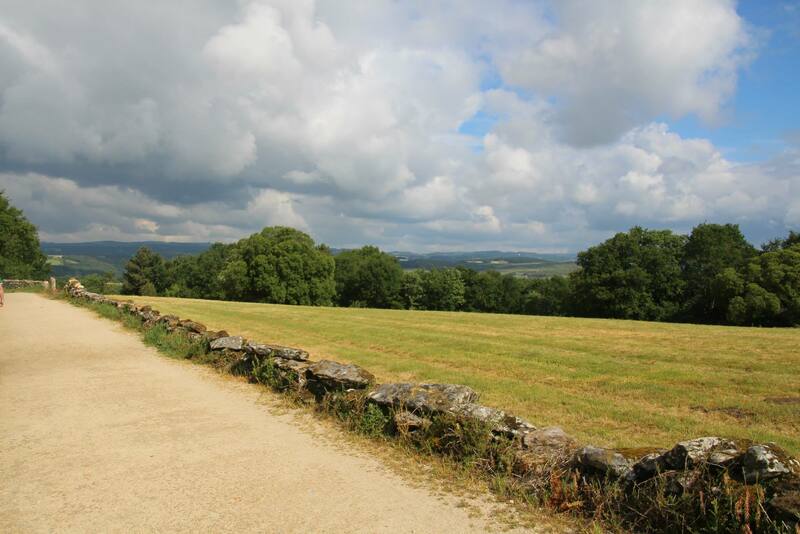 Sue Kenney – A Pilgrim Leader…bringing the masses to the Camino! And the Camino to the masses! Click this photo to go to Sue’s site. She’ll be leading another group this coming fall! Whoever you are, you will probably not find your way back here. But I’m going to write this anyway. NOBODY FAILS THE CAMINO. Did you see the big sky? Did your feet touch the earth? Did your heart feel lifted, if only for a moment? Did you smile? Did you say hello to at least one stranger? 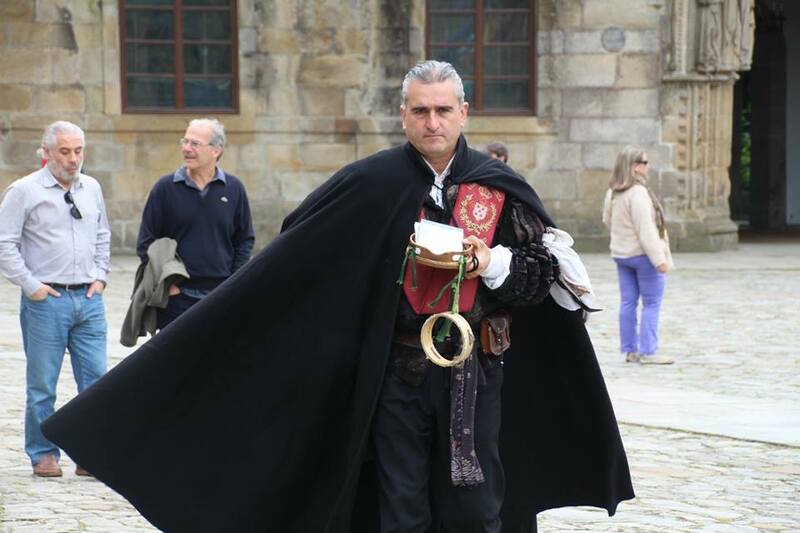 There is no pass or fail on the Camino. The journey begins when you consider taking the first step…not when you step down in Spain. The journey is in your heart. Don’t you see that the Camino is like the YELLOW BRICK ROAD?! You can take that road all the way to the end, to the Emerald City, and your journey isn’t over. Because the journey is internal. Once you get to the Emerald City, you must click your heels together three times and say, “THERE’S NO PLACE LIKE HOME.” That’s the journey…discovering that you are always there. Always on the Camino. 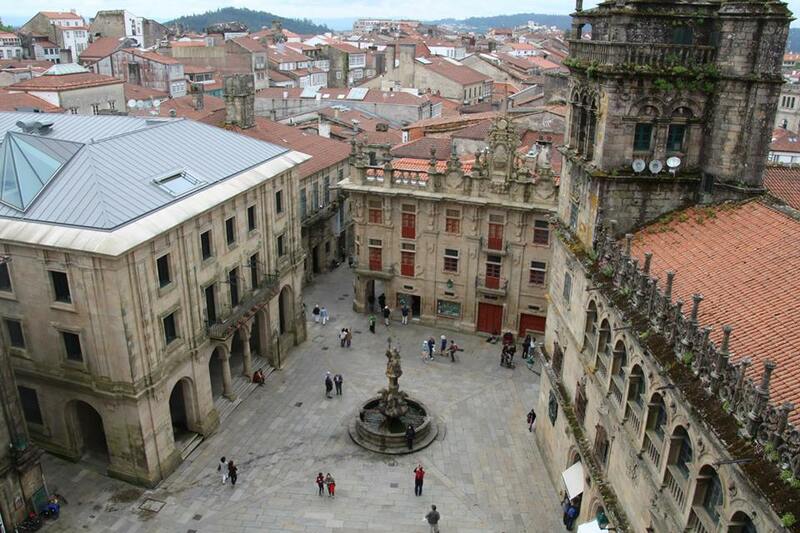 Always in Santiago de Compostela. 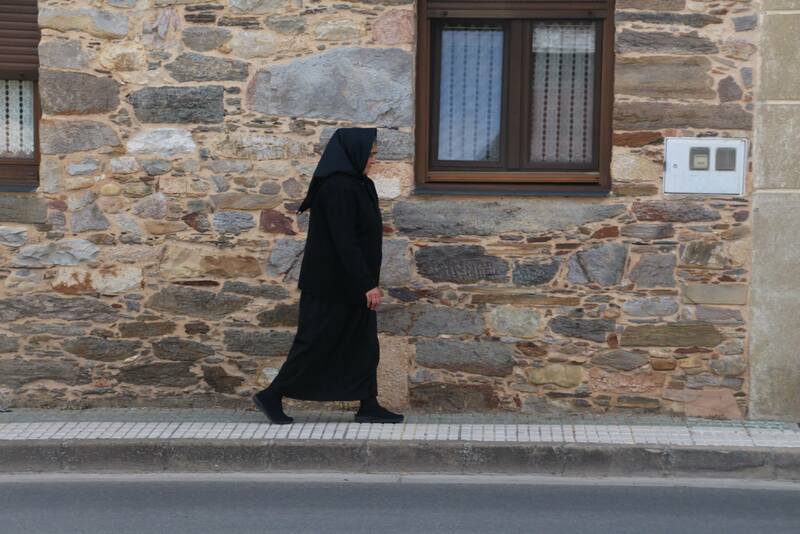 Please, don’t think you failed the Camino if you walked the Camino. You did what you needed to do. You found the sky above you and the earth beneath your feet. There is no fail. 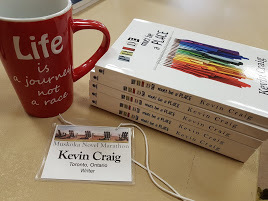 Revving Up for the Next Muskoka Novel Marathon – I’m Gonna Burn Baby Burn Baby…again! So many of my darlings have come out of the Muskoka Novel Marathon 72 hour writing frenzy. I have taken part in this long weekend of novel writing 7 times now. 7! Holy crap. That’s a lot of writing. 1. Sebastian’s Poet – Contemporary Adult story with a child narrator. Winner of the BEST ADULT NOVEL AWARD for 2007. 2. The Reasons – Contemporary Adult story with duo narration…one child narrator and one adult narrator (son & mother). Winner of the BEST ADULT NOVEL AWARD for 2008. 3. Half Dead & Fully Broken – Young Adult story with a teen narrator. Winner of the BEST YOUNG ADULT NOVEL AWARD for 2010. 4. Burn Baby Burn Baby – Young Adult story with a teen narrator. Received an Honourable Mention for 2012. That’s 4 of my 5 published novels created at the Muskoka Novel Marathon. 4! I did win the marathon one other time, though that novel was never completed…so remains unpublished. 1. That’s Me in the Corner – Young Adult story with teen narrator. Winner of the YOUNG ADULT NOVEL AWARD for 2011. 1. Alive & Kicking – Young Adult story with the same teen narrator as Half Dead & Fully Broken. It’s Book 2. It remains incomplete. Written during the 2013 marathon. 2. The Book of Your Dreams – Young Adult horror story with a teen narrator. Honourable Mention for the 2014 marathon. Who knows. But I am writing something. The Muskoka Novel Marathon is not only an event for 40 insane writers to camp out together while each of us writes a novel. It’s also a fundraising event. We raise funds for literacy programs at YMCA of SIMCOE MUSKOKA. To date, this marathon has raised well over $100,000.00 for this cause…but it’s not enough. With government funding cut to the bone, the literacy programs depend on the generosity of donors. The 40 writers involved in this weekend all collect donations on behalf of the cause. We are writers helping readers. But without you, we are nothing. 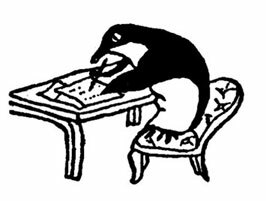 In order for the writers to help the readers, we need your generous donations. Without them, we are simply writers writing at this weekend marathon. 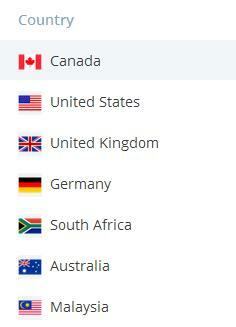 I need you to click on the picture below, go to the CANADA GIVES page I have set up to receive donations, and give. Anything. I don’t need $500 donations. $5 will do. Whatever you can spare. A View of Lake of Bays. Dwight, Ontario…just outside Huntsville. 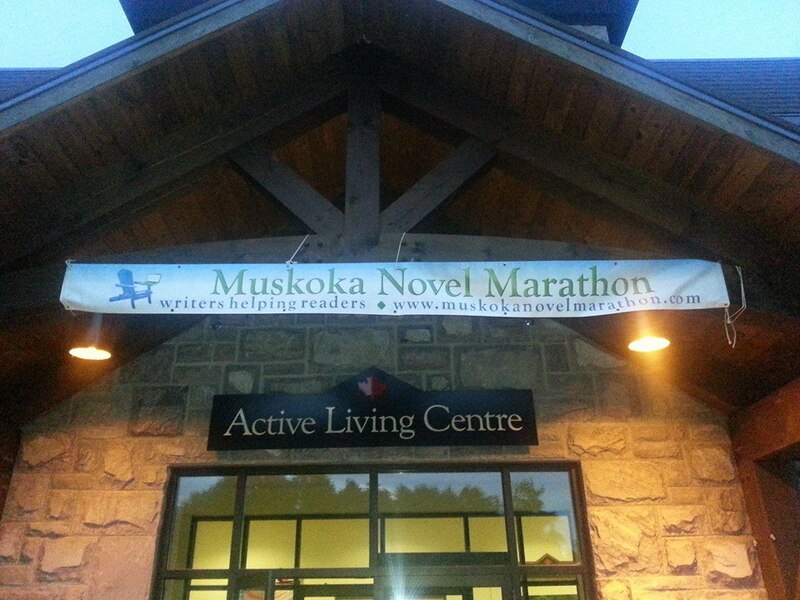 The Muskoka Novel Marathon is an annual event to raise funds and awareness for adult literacy in Huntsville and surrounding areas. To date, the event has raised over $105,000. Please see About the Marathon for more information. I thank you in advance for your generosity. Together, we can make a difference. 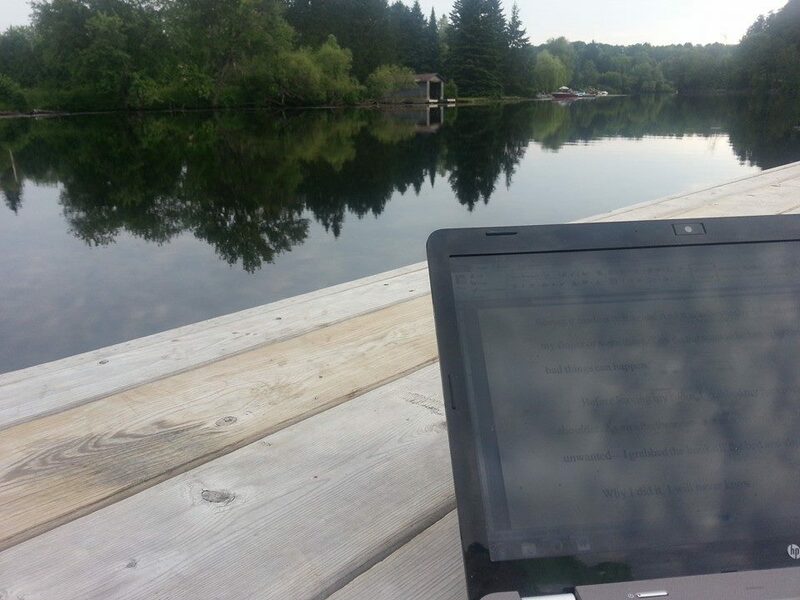 Dockside Writing – The Beauty of Muskoka Novel Writing! This year’s marathon is in 32 days. In 32 days, 40 writers will get together in Huntsville, Ontario, and attempt to write 40 novels over a 72 hour period. That’s about 2,000,000 words, if we’re all lucky. That’s a lot of words. And all for literacy. But our goal is not really to write a bunch of words. Our goal is to help others read words. My part is the easiest. All I have to do is sit in front of my laptop and burn, baby! When is a penguin not a penguin? I’m no expert, but I’m going to go with WHEN HE’S NOT PENGUINING. If I transpose this logic to the question I’ve been asking myself of late, the emphatic answer I come up with is WHEN HE’S NOT WRITING. The question? When is a writer not a writer? That’s it and that’s all. It’s that easy and it’s that hard. So why the title, you may ask (if you’re even still here…since not writing seems to be mostly the only thing I’m writing about these days and I’m aware that it’s a boring topic to write about). Using that logic–which is from the song Spinning Wheels by Blood, Sweat & Tears–I should basically shut up and write. Also lyrics from the song. Talking about your troubles doesn’t take them away. It emphasizes them. It highlights them. It inflames them. But it doesn’t take them away. Can I just remove my troubles by putting one word in front of the other? I suppose, then, that it’s time to.. So, when is a penguin a penguin? Well, they went there. People are laughing in the face of courage (again) and I’m pissed. I’m rant-y this morning. Why? Because there are factions who are trying to bastardize the word COURAGE. AGAIN. -The ability to do something that frightens one. -Strength in the face of pain or grief. That is the definition of courage. Plain and simple. Don’t get me wrong…I love that there are courageous people in this world who fight for democracy. I support the troops that put themselves in the line of fire so that we can live a life of freedom. Democracy is everything. Freedom is everything. But to my understanding, one does NOT need to be facing a line of bullets and weaponry to be considered courageous. Courage is, as defined above, the ability to step outside of your comfort zone and act or speak despite the fear you may feel in doing so. Courage is the ability to stop running and hiding from that thing that causes you pain and grief. Courage is saying, “NO MORE.” Courage is speaking up for yourself when nobody else will. Courage doesn’t always come with a shotgun. Is sometimes comes with the utterance of a single sentence. I found courage myself a few years ago, and I will now stand in front of a firing squad to defend my right to call myself courageous. No, I didn’t defend democracy. No, I didn’t defeat terrorism. No, I didn’t kill the infidels. No, I didn’t free the tormented masses from the clutches of the enemy. Maybe I was only able to do that because there are people out there, somewhere, defending our rights for democracy and peace. Maybe because of soldiers we’re able to casually take everything that comes with freedom for granted. Christ, even the ability to contemplate and reason sometimes comes to us because we are free and living in a democratic society. For that, I am beyond grateful. I don’t want this rant to be against the courage of soldiers and police, and firemen, and EMS, etc, etc, etc, etc. I just want it to be realized that you don’t need to save the world to have courage. I saved myself. For me, that was enough. I have courage. And so, I must point out at this time, does Caitlyn Jenner. Trans people put their lives in danger just by being who they are. Just by allowing themselves to cross that line from INSIDE SELF to OUTSIDE SELF. They face persecution, ridicule, death…just by being themselves. Scroll up to the definition of courage…it fits, doesn’t it. So when it was announced that Caitlyn Jenner would be honoured with the Arthur Ashe Courage Award, I thought, “YES!” The award is presented annually to individuals whose contributions transcend sports. This contribution, though only Caitlyn’s personal step in the right direction towards a more authentic self, is monumental. Her courageous actions will help countless people. She is swaying perception, she is opening dialogue, she is telling those who struggle that it is okay. 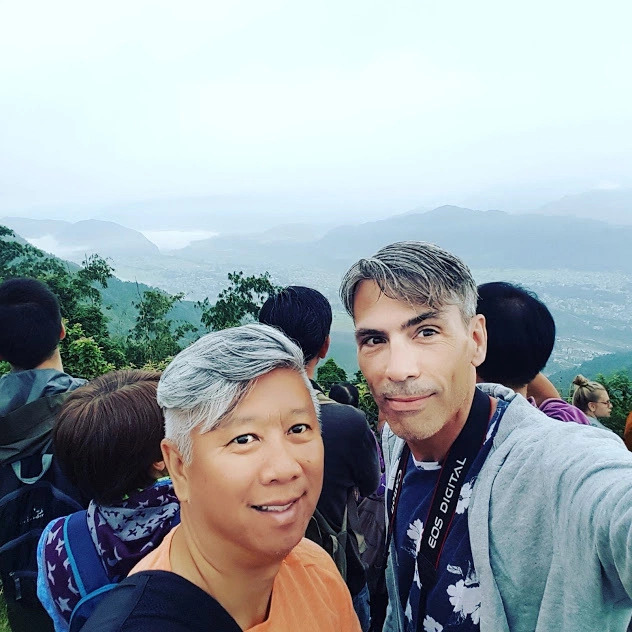 I don’t know about you, but I think that if someone else has the courage to say, ‘Find and be your authentic self…like this’, it carries weight. You never know what a person carries with them through life. We don’t come with cautionary labels affixed to our person to warn others of our trials and tribulations. To deny Caitlyn’s courage is to deny all courage. We are a world of courageous people. Every day we each face the day and carry on. Courageously. No, we don’t all carry guns. We don’t all fight for world peace. We don’t all put our lives in jeopardy in the line of duty. But to be fair, that is naught to do with the definition of courage. Yes, those who do those things are courageous. Yes, I appreciate and am thankful for them every day. But don’t sell people like Caitlyn short. She is courage personified. My moment of courage? It came when, after 33 years of remaining silent, I chose to open my mouth and speak. Courage is, at times, merely the lack of silence. 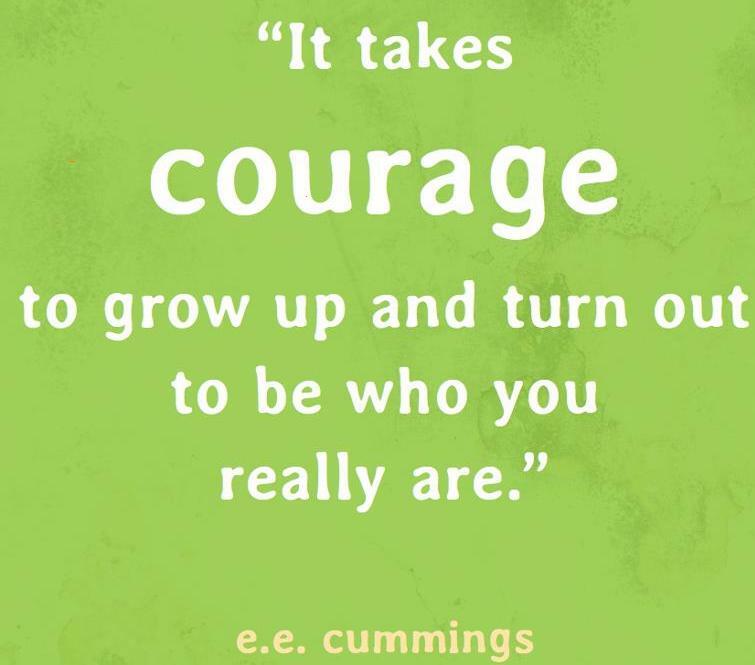 When I uttered for the first time that I was sexually abused as a boy, I felt the courage come out of me. (Christ… It takes courage EVERY SINGLE TIME I write about it! Each time is a difficult and frightening utterance that goes against the silence I spent my life hiding within) Granted, it was backed by 33 years of the lack of courage. But sometimes we need to work our way up to courage. Sometimes courage is just allowing ourselves to wake up every day and not put a stop to the pain and grief we face. -Did Caitlyn do something that frightened her? Most definitely. How frightening would it have been for her to stand before the entire world and say, “I’m a woman.” Just imagine the years of turmoil she struggled with. It would seem to me ‘she called on all her courage to face the ordeal‘. -Did Caitlyn show strength in the face of pain or grief? Um…yes. An emphatic yes. Do I even need to explain this one. She most likely felt grief every single time she confronted herself in a mirror and the reflection didn’t match what was on the inside. PAIN? How much inner pain did Caitlyn carry in her 65 years? I don’t want to have to contemplate that, because I am sure it’s immeasurable. Finally, to end this rant-y post, if you strip Caitlyn of the right to call her recent actions acts of courage, then you also strip me of my right to call my actions acts of courage. I can’t have that. I won’t have that. ONE of the Multitude of Faces of Courage.